Come One! Come All! Circus fonts are a really trendy way to add a little jazz to projects! 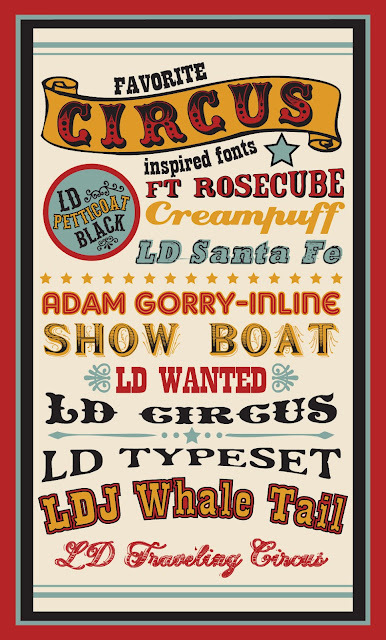 See my favorite circus fonts... many of them are FREE. We've bundled up my two favorites LD Traveling Circus and LDJ Whale Tail for todays 2s-day Circus deal. Not to mention you can get the LD CIRCUS available for only $2 too! So helpful! Thank you so much for this roundup!